There is a large range of Christmas decorations from stockings on the mantel to a small Christmas mouse hanging from the tree in the patterns below. Christmas decor adds warmth to a home and gives it a sense of family togetherness. 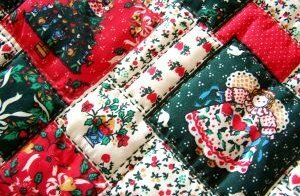 It's fun and easy to create personalized Christmas stockings, Christmas tree skirt, Christmas apron and much more. For gifts, you are sure to find that special someone a present they will love. Here is a large range of sewing patterns to make the holidays even more festive. If you enjoy making Christmas decor you will certainly want to look through the free patterns below for inspiration.